Jurisdictional Reports enables Jurisdictional Blood Committee (JBC) members and their nominees to access a range of online reports by directly querying National Blood Authority (NBA) systems in real-time. 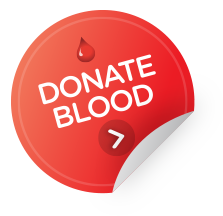 Login to BloodPortal by clicking on the button at the top right hand side of this site. If you don't have an account yet you can create one online in a few moments by clicking on New User? Create an account. Contact the NBA’s Blood Systems Support team by email at support@blood.gov.au and request access to the Jurisdictional Reports application, including approval by either your JBC member or proxy. Once you are notified by Blood Systems Support that your access request has been processed, login to BloodPortal and click on the Jurisdictional Reports icon. Once you click on the Jurisdictional Reports link you will then have access to a range of reports based on your access level.